The debate is long lived. Some say stuffing is different from dressing, some argue they’re the same thing. 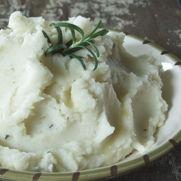 I don’t really think about it much and love them both, and to me Thanksgiving “isn’t” without this side dish. 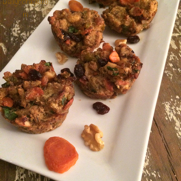 I’ve put a spin on it this year, making stuffing cups instead of putting it into the turkey … with great results! I rely on this crumb-style crust when I want big flavors and don’t have time to fuss. Ready to fill in just 15 minutes with no-bake fillings or fillings requiring baking of your choice. 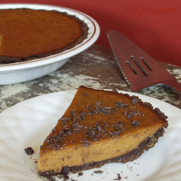 I especially like it for the holidays for pudding pies and my favorite pumpkin pie recipes. 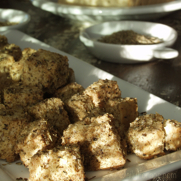 These croutons are so easy to make and they deliver BIG on flavor. Depending on whether you cut the bread into small or large cubes, you can create hard and crunchy little salad croutons, large bite-size croutons with a crispy crust and a tender center that look beautiful floating on a bowl of soup, or perfectly-sized and seasoned croutons for bread stuffing in your favorite holiday turkey. Creating a chew, or special textural quality, in gluten free recipes is often achieved by adding a percentage of gluten-free oats or oat flour. 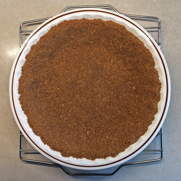 But when oats are not an option, I’ve found sweet white sorghum flour is a perfect substitute in most recipes. 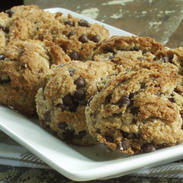 Like these Chewy Oat-Free Chocolate Chip Cookies! 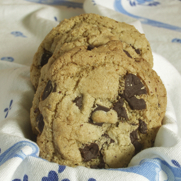 We’ve made super yummy gluten-free, dairy-free chocolate chip cookies. 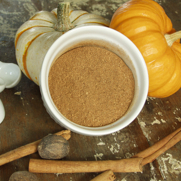 This recipe is also free of potato starch, yeast, eggs, rice, corn, soy,peanuts, flax, tapioca, teff, millet, sorghum, oats, quinoa, garbanzo bean flour, and amaranth. 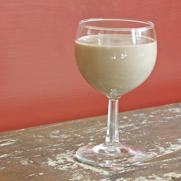 See how we created a perfect egg substitute using applesauce, cream of tartar, and baking soda. Our gluten-free, dairy-free, soy-free Dark Chocolate Almond Butter Cups use Justin’s Maple Almond Butter, powdered sugar, Enjoy Life Semisweet Chocolate Mini Chips, and Earth Balance Natural Buttery Spread (soy free). They are also peanut free. 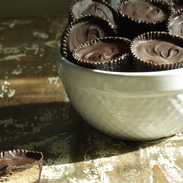 This candy recipe is easy, requires no baking, and makes about 24 mini nut butter cups. 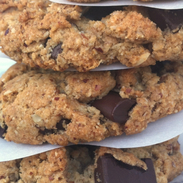 Our Rustic Chocolate Chip Cookies are created from a gluten-free, dairy-free, soy-free, egg-free and peanut-free recipe. We mixed almond, hazelnut, oat and brown rice flours to give them a “whole grain” texture. 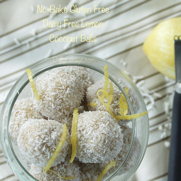 Using organic coconut oil makes them chewy on the inside and crispy on the outside. Then we’ve stuffed them with dairy-free, soy-free Enjoy Life semisweet chocolate chunks. YUM! 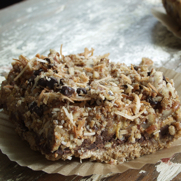 Warning: These Coconut Pecan Chocolate Chip Bars are addicting! Proceed to the recipe with caution. 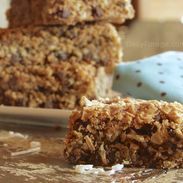 Chewy, nutty, coconut-y indulgent goodness! 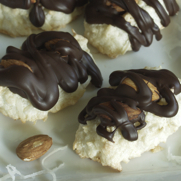 You won’t be able to wait for dessert to enjoy these gluten-free, dairy-free treats.